​Miguel Almiron's agent has claimed that Newcastle new boy Miguel Almiron might have signed for Manchester United instead. 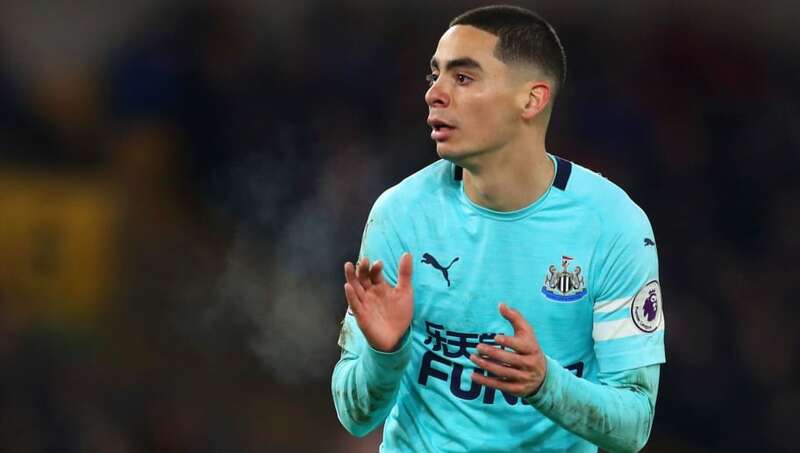 Almiron, 25, joined the Magpies for an initial £16m from MLS champions Atalanta United, though that fee could rise to £21m depending on a number of clauses, which would make him Newcastle's record buy. Yet according to Almiron's agent Daniel Campo, the Paraguay international could have ended up as a ​Red Devil. Campo told ParaguayTVHD, via the ​Chronicle: "Manchester United was interested in Miguel Almiron." However ​Newcastle were able to push the deal through for Rafa Benitez's number one target after two months of talks with Atlanta, though the deal did come close to collapsing after Almiron headed to Italy to talk to Napoli before Newcastle chiefs resurrected the transfer and sealed the move on deadline day. Almiron made his Newcastle debut in the 1-1 draw with Wolves in the Premier League, coming on with 20 minutes left in the match and displaying the raw pace and skill on the ball that has the Toon Army excited to see more of the midfielder this weekend when the Magpies take on Huddersfield. Almiron also featured in a friendly against CSKA Moscow this week as the FA Cup action went on, and Benitez spoke about the possibility of starting him against the Terriers: "He is someone who is working hard, trying to be involved and his commitment is positive for the team. "He has stamina, he has pace, he is very dynamic - he is giving us what we were expecting."